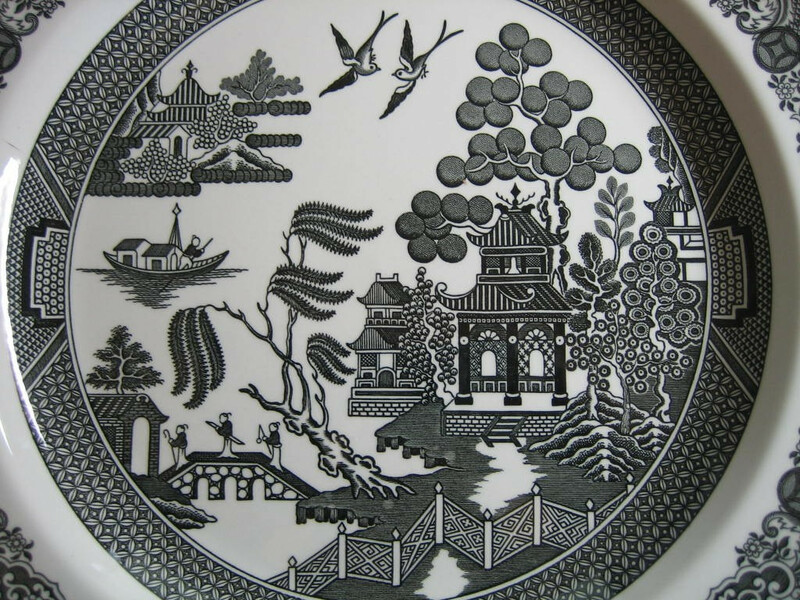 Click the button below to add the Black White Chinoiserie Exotic Bird Willow Plate to your wish list. Hang your Decorative Dishes - decorative plates and decorative bowls on the wall with these simply applied adhesive disks with hooks. FREE SHIPPING. Sorry this item is sold out... Please check out my shop for similar items. THANKS! 10.25". 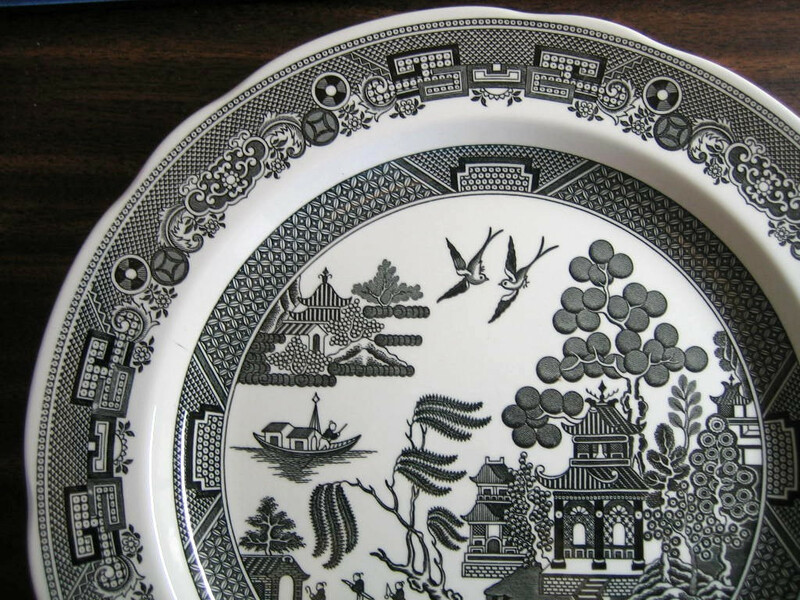 Depicts romantic story of two lovers caught by her father who turn into birds to escape. Made in England.